It’s rare that I read a textbook that’s so good, I don’t merely want to recommend it, I want to actually rave about it—in a very loud voice! Advanced Acceptance and Commitment Therapy is such a book: a truly superb advanced-level textbook for the ACT practitioner who already has a handle on the basics, but now wants to evolve a more fluid, flexible, and effective style of ACT. I confess to having frequent pangs of envy as I read this book (which I devoured cover to cover in the space of one week) and many thoughts such as, I wish I’d written this. It’s easy to read, extremely engaging (in parts, laugh-out-loud funny), and incredibly practical. Even highly experienced ACT practitioners will get a lot from this book. I certainly learned new things from reading it, and I’ll bet good money that you will too! … So if you’re ready to move from the beginner level ‘ACT-ish therapy’ to genuine, high-powered ACT, then rush out and get this book now! Doing ACT raises common, predictable challenges. In almost every case they are best overcome by stepping into the ACT model and its foundations with your head, your hands, and your heart. This gentle but wise book shows how to do that—and on all three of those levels. It is indeed Advanced Acceptance and Commitment Therapy—not because it applies only to those who are advanced, but because it teaches you how to advance. You don’t have to be an ACT expert to buy it, read it, and benefit from it—but if you buy it and read it, I guarantee that you will be much more expert in the ACT work you do. 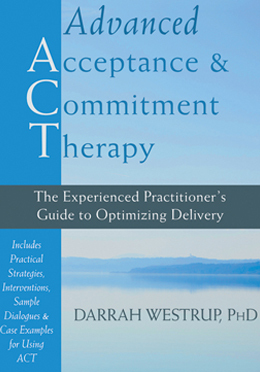 As I read Advanced Acceptance and Commitment Therapy, I kept turning to my personal knowledge of Darrah Westrup and her incredible ability to communicate, in writing, her gifted therapeutic experience and understanding of ACT. I know Darrah as both a colleague and a friend, and this book shines a bright light on her amazing talent and facility with the intervention. Readers will be engaged from the opening pages regarding theory and processes, through the thoughtful and seasoned application of ACT, all the way to its invitation to continue the ACT journey at the book’s close. She brings to this volume not only a digestible, considered, and at times humorous read, that every therapist, not just those using ACT, will find invaluable, but also a personal sense of herself that is kind, grounded, and compassionate. Thank you, Darrah, for this beautiful contribution to the ACT community and therapist community at large. Advanced Acceptance and Commitment Therapy is an invaluable resource for every therapist who doesn’t just want to do good ACT but great ACT. Easy to read and very practical, this book succeeds at linking concrete skills to deep philosophical and behavioral principles underlying the ACT model. The numerous clinical vignettes are commented with great precision and clarity, and show how to activate key processes through natural interactions, beyond traditional exercises. I am halfway through Darrah Westrup’s new book and can’t put it down. As an ACT practitioner, it is just full of ahas for me and exactly what I need at this stage of my learning and practicing. ACT is an amazingly effective counseling technology but it requires precision, timeliness, intuition, compassion and delicacy in its application.I am thankful for this solid text, which, from my perspective, fills a gap in our literature. I also love the style in which it is written, so light and fun that it provides ease of access to and retention of Westrup’s counseling room wisdom. This text should be on every ACT counselor and coach’s self of accessible, well-used and beloved texts. Thank you, Darrah. Six months in and on my third reading of this book and I am finding new clues about using ACT, thanks to Dr Westrup for sharing her practices and insights. Reading this book is like having a new supervisor because she shows us how to work effectively in the consulting room by comparing useful and not so useful practices. The techniques are useful for practitioners of any theoretical persuasion. Dr Westrup’s style is one of a friendly colleague, conversational and yet positively challenging. Finally! The scientific literature on acceptance and commitment therapy (ACT) is heavily based on group intervention methods, but through nearly three decades of such studies, no book has been available to walk clinicians through the myriad choice points, barriers, and opportunities presented by ACT in groups. No more. This wonderful and readable volume walks through every relevant area and issue in a way that is wise, evidence-based, and clear. How can you organize an open membership ACT group? What if a group member just wants to tell stories? In area after area and issue after issue, Westrup and Wright have skillfully done the heavy lifting for you. If you’re doing ACT in groups, you now have a much easier job: buy the book, read it, and use it. 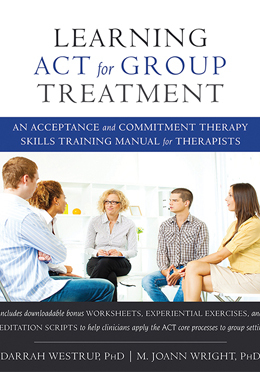 This long-awaited book finally provides therapists with the guidance they needed to do ACT in groups. Darrah Westrup and Joann Wright have turned their scientific expertise and clinical wisdom into a wonderfully written text that covers all the key aspects of the psychological flexibility model while addressing the typical pitfalls and advantages of doing ACT in this context. This is an essential read for all therapists doing ACT in groups! Life’s too short to beat around the bush, so I’m going to be blunt: if you do ACT with groups, or if you wish to start doing so, you need this book. Chockablock full of wisdom and experience from experts in the field, it’s not just an optional extra; it’s an absolute essential. If you want to help groups of people to discover ACT, and leave them glowing with a sense of vitality and fulfilment, then be smart about it: allow Westrup and Wright to light the way for you. Westrup and Wright have masterfully woven the ACT approach into the group therapy milieu. Contextual behavioral science, the foundation of ACT, suggests the human condition evolved through the blending of two levels of selection: the group and the individual. The ACT community has long endeavored to address the human condition in a way that reduces suffering and improves quality of living by using applied behavioral science to help at the individual level. Thankfully Westrup and Wright are contributing to the applied literature with an eye on utilizing group therapy to direct the therapeutic process in important, valuable directions. Learning ACT for Group Treatment highlights advanced ACT topics in a manner accessible for a novice. This pioneering book offers practical exercises for immediate application, and gives incisive examples of how to use them in an ACT-consistent manner. Most importantly, Westrup and Wright created a flexible framework to create unique, impactful group therapy interactions. Highly recommended, even if you are not a group therapist. Brought to us by two ACT master clinicians, Learning ACT for Group Treatment is an essential addition to the library of any therapist who uses mindfulness, acceptance, and compassion processes in groups. This book brings the psychological flexibility model to life in the context of group therapy. I am confident that this text can enhance the effectiveness of any of our group-based work. Masterful! This book is an excellent resource for any clinician interested in learning more about acceptance and commitment therapy. The authors do a great job of explaining PTSD from an ACT perspective, emphasizing the verbal nature of PTSD and its experiential avoidance component. What I found most valuable is their presentation of each of the core components of ACT, and the use of transcripts from actual sessions to illustrate each component. Well-written, engaging, and very practical. It even has cool illustrations! 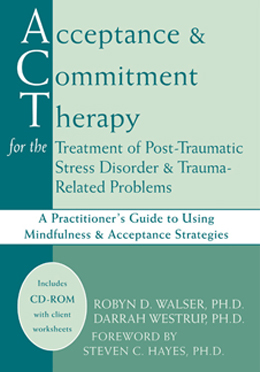 This book is a tremendous asset to therapists, because not only does it address how to treat PTSD using Acceptance and Commitment therapy (ACT), but is a terrific overview of the ACT model itself. I’ve read other books on ACT, but none have been this concise and this clear on the model, how to implement it, and how to explain it to clients. Another great aspect is that it is really geared toward exactly HOW to implement ACT with PTSD, with examples, scripts of actual sessions, and “sticking points” for both therapists and their clients. This specifically helps therapists with challenges they may have with with ACT as the clinician, but also has specific suggestions for common sticking points for clients. It’s well written, concise (unlike other ACT books, which I think can be overly theoretical and less practical), and useful. The application to PTSD and trauma is really clear, and I think this is going to really help the trauma field. The authors certainly have the credentials to back up the book, they are experts in PTSD and are actual practicing clinicians, too. You also have to love the drawings, and quotes that start each chapter, adds a laugh or two while they help illustrate the ideas and concepts. All in all, terrific book. What a pleasure to read a book for “work” and to savor each chapter and look forward to the next. This accessible, engaging book is written with warmth and compassion. You feel as if you were in the room with these seasoned and oh-so-human therapists and their courageous clients. After reading the book, I now understand the essence of Acceptance and Commitment Therapy, feel like I have witnessed the experiential exercises, and understand how it is applied in a group setting. But the best part is, I enjoyed every minute of it! This is the much needed practical guide for implementing ACT. The overview of ACT is the most practical and understandable I’ve read and the guide for implementing the treatment is the step-by-step “how to” I’ve been needing. I really appreciated the specific examples provided for implementing the treatment and the word for word descriptions of how experienced ACT clinicians approach difficult situations. It is rare to discover a book like this that not only furthers my understanding of a treatment but also motivates me to practice it! Acceptance and Commitment Therapy for the Treatment of PTSD & Trauma Related Problems by Walser and Westrup provides an excellent overview of PTSD and the various challenges faced by those who are personally grappling with the impact of trauma in their lives. The essence of the book however lies in the application of Acceptance and Commitment Therapy (ACT) as a timely and empirically based treatment approach for trauma related difficulties. The authors outline and incorporate ACT in a manner that is clear and approachable for those already familiar with ACT, and those who are interested in learning more about this evidence-based treatment approach. The book provides a clear and concise road map for treatment using ACT in a manner that is consistent with other state of the art empirically based therapies (i.e., exposure) and the growing literature on mindfulness and acceptance based approaches. In addition, it is rich with practical case examples, mindfulness and acceptance exercises, and steeped in metaphors that facilitate the work of therapy. The worksheets, CD-ROM and reference resources complement the material. The authors also address the essential role of the therapist as an integral part of the therapeutic process, and convey the value in recognizing our respective role and the related challenges faced as clinicians who are often caught up in similar trappings as the person across from us. The book invites the reader to discern in a non-judgmental manner if ACT is well suited for them given what ACT asks of the therapist in terms of their own process, perspective and willingness. 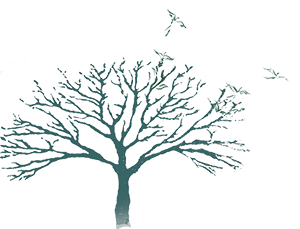 Consistent with ACT, Walser and Westrup provide a framework for living a meaningful and valued life that goes beyond the diagnosis and resolution of PTSD. The authors articulate a context of possibilities for living a more complete, rich and vital life that extends beyond amelioration of anxiety. I highly recommend this book. This is a wonderful book that is very simple and easy to follow. I have never been a big fan of self help books but this book was so relatable with wonderful stories and a very encouraging layout. The chapters are short and sweet, giving you just enough to mull over during the day. [see more] In my opinion this is a must read that isn’t just for when issues arise in relationships but also to help you learn to appreciate your partner day to day. We have selected this book for a marriage encouragement program at our church, now in its 6th year. 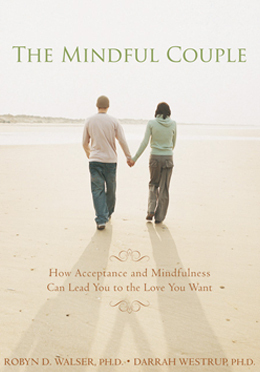 We like that it can be beneficial on two levels: as a casual but more insightful look into one’s own marriage partnership, or on a deeper plane to allow one or both spouses to awaken to the possibilities of happiness found in profound acceptance of each other. We are anxious to share it with the couples in our program! Really good book for new original exercises to give out to patients in couple’s therapy. The mindfulness part just feels natural and doable. A wonderful, short, sweet book full of knowledgeable advice for relationships, be they romantic, familial, etc. Great gift for anniversaries, weddings, and more. Enjoy!